Social Media have provided many important resources for millions of people, especially for artists who wish to hone their craft and at the same time, create better earning opportunities to support their passion. Youtube, for example, has been an essential space for up-and-coming musicians. Before thinking about earning from your videos, it’s important to focus first on the primary piece of the million-dollar puzzle: your audience. How? Increase views and drive more traffic to your page. For starters, by making some changes in your Youtube channel’s setting menu , new viewers can have instant and easy access to your videos. It also helps A LOT to include tags and fill in the Genre and Location sections to effectively take advantage of Youtube’s current tag trends, allowing old and new viewers to find your page through popular search keywords. Allow ads on your videos. Make sure you have properly set up the right video monetization settings in your page. Different ads make different money, and carefully choosing the ones most appropriate to your music genre can make a big difference. For instance, Skippable Video Ads can be perfect for musicians because these can only play for a few seconds and users can have the option to skip the sponsored message or keep on watching. Putting this decision in the hands of the viewers-slash-fans is important and it can still earn you some decent dollars. Ensure fan retention through subscriptions. Ask your fans to subscribe to your channel after the end of every video. The Subscribe button serves this purpose of notifying your viewers/subscribers/fans of new contents and updates on your music. In addition, add descriptions and annotations on your videos for more interactive contents. Having built a sizable fan base, it is perfect opportunity to use your own channel to promote related merchandises and services, such as custom-designed t-shirts, accessories, performance bookings for special events, and even your independently produced albums! Earnings will not come directly from Youtube, but the platform will significantly help you market your products or services. Every century gives birth to legends and the music industry has its own share of epic personalities and legendary artists that have changed the world and have inspired millions of people to dance and celebrate life through the art form (and business) that they know best. In the past century, we were given the gift of extremely talented musicians and their grand performances that have rocked the world one song at a time, attracting not only hundreds of thousands but millions of people to come together in one epic event. Let’s take a look at the biggest concert events of all time and relive their greatness. 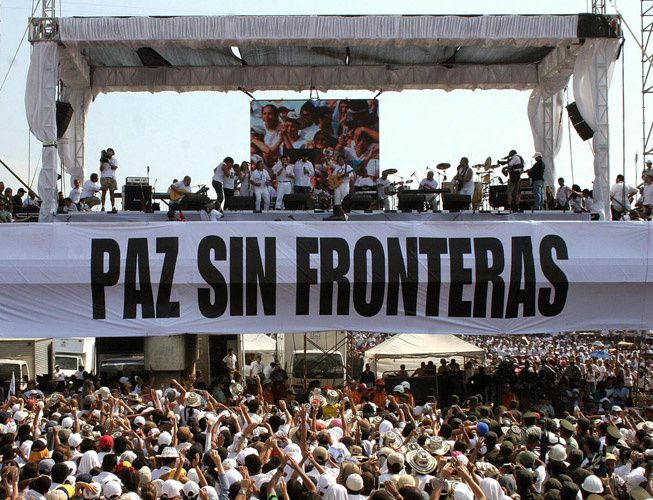 Held in the Cuban capital of Havana in 2009, Paz Sin Fronteras II, translated as “Peace Without Borders II” was the second of several rounds of concerts organized to promote peace and unity in the entire Latin American region. It was headlined by Colombian artist, Juanes and it featured several pop music figures from all over Latin America. Currently, it holds the record as the biggest concert event of all time in the region, gathering over 1.5 million concert goers. The event was held in the French capital in 1990 and it was a celebration of the country’s Bastille Day. Both the French Ministry of Culture and the city’s group of local business leaders organized and funded the concert, commissioning superstar Jean-Michael Jarre, a French electronic genre musician known for his record-breaking million-attendee performances. As expected, around 2.5 million made it to the biggest concert in Paris, holding one of the top ranks in the Guinness Book of Records. It was in 1997 when the greatest concert event of all time was held in the Russian capital. Organized in honor of the city’s 850th anniversary, Oxygene highlighted superstar Jean-Michael Jarre. In this event, Jarre attracted an impressive crowd of 3.5 million people, grabbing the world record for the biggest number of participants in a live concert. One of the things that Ed Sheeran, Taylor Swift, and Drake have in common is that they have all achieved mainstream success in the field of music. With the help of their record labels, they were able to reach new heights in terms of album sales and concert revenues. It is no exaggeration to say that one of the reasons for their success can be mainly attributed to their organizations. That doesn’t mean, however, that artists who are signed with indie labels cannot be just as successful. As a matter of fact, the rise of digital platforms has made it even more possible for them to reach unprecedented fame. Трип (pronounced ‘trip’) is one such record label. Founded by Nina Kraviz, it is where technophiles come to flock together to get their fill of fast-paced beats and complicated sets of whistles. Bjarki, a music prodigy from Iceland, as well as Aphex Twin are also associated with трип. Another big hitter in the indie scene is DDS. In 2015, they were able to capitalize on the success of Stephen O’Malley, Shinichi Atobe, and Micachu’s LPs. The following year, they were able to soar with the release of Demdike Stare’s music. They are not afraid to take chances and they definitely sound good while doing it. As for Swing Ting, they can be located smack dab in the center of the United Kingdom’s party center, Manchester. At the forefront is Samrai and Platt who was able to create an entirely different being in the form of solid gold 12 inches and EPs. They mashed together R&B, jungle, and grime and was able to give birth to a beast. As far hip-hop success is concerned, Macklemore earns all the marbles. Together with Ryan Lewis, the indie label has produced some of pop music’s most popular songs. Two of their singles, ‘Can’t Hold Us’ and ‘Thrift Shop’ reached the top of various charts, including the Billboard 100. 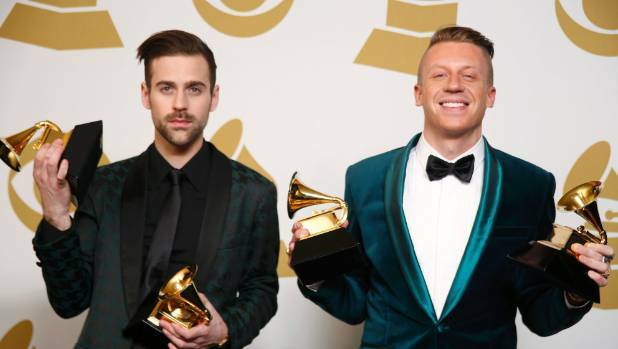 On Youtube, Macklemore & Ryan Lewis has over 4 million subscribers and total video views of more than 2 billion. In addition, they have four Grammy awards to their name. But the most successful of all, perhaps, is none other than XL Recordings, the indie music company behind such modern icons as Vampire Weekend, Radiohead, and of course, Adele. The label rarely produces more than six albums a year, but each release is almost always a major success. With music streaming, digital download, and online marketing easier than ever, independent music productions can soon be as established as their traditional and ‘bigger’ counterparts. 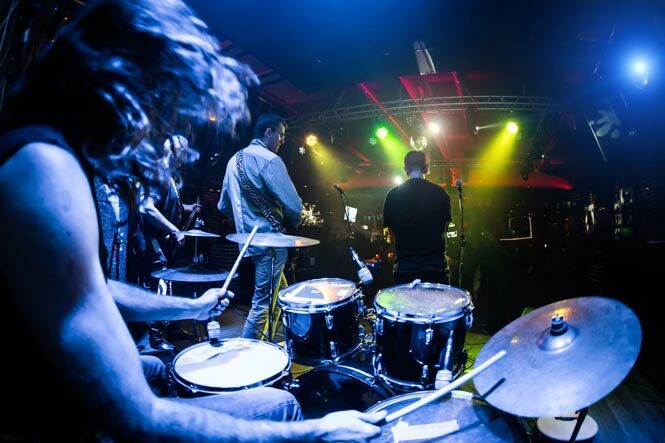 For musicians, such set up is extremely advantageous, as they are given both higher creative freedom and better chances at earning lucratively. There is still a long way before indie records can eventually dominate the industry, but the future seems optimistic as a whole. In some situations, indie companies are even part of investors’ portfolio. However, just like conventional music productions, indie artists are not spared from music piracy, which costs the US economy around 12.5 billion dollars in damage annually. Nonetheless, independent musicians should never get discouraged with such issues and continue producing quality music. The Kenwood KR-6170 “Jumbo Jet” stereo receiver is considered a classic. Why do so many audio fans seem to prefer a vintage receiver over new receivers with modern technology? Are there actual reasons that older equipment can sound different or better? When it comes to receivers and amplifiers, older can be better. The amplifier sections in new receivers often don’t have the power and electrical current capability of vintage models, especially going from a stereo receiver to a surround sound receiver as you did. The manufacturers saved money by cutting quality in surround receivers’ amplifier sections, then used the savings to add new features such as extra channels for more speakers, Bluetooth, etc. The power ratings in new gear are often inflated, as well. In real-world use, an older amp may actually deliver more power to the speakers, despite newer models having higher advertised power rating. In addition, many receivers digitally process everything, including the volume control. Some feel that this digital processing degrades the sound. There is also the possibility that older amps’ power is not as “clean” as the newer models and has more distortion, but the mild distortion lends a pleasant quality to the music. That is the reason lots of people prefer tube amplifiers or vintage speakers. Though the old equipment may not reproduce the music as accurately as modern gear, the listener may simply prefer the sound from the vintage equipment. In general, though, if you choose carefully you can get better sound with modern equipment than with vintage. You just have to be careful about what you buy and how you match components together. There is good stuff and bad stuff littering every price point. You can get much more speaker for your dollar than you could years ago. Most modern turntables will sound better too, but much of that is by virtue of their newness. Old turntables can have worn platter and tonearm bearings, which seriously degrade the sound. However, it is in the realm of amplifiers and receivers that quality has taken the biggest hit. For stereo, if your budget is under $750 a vintage amplifier or receiver could very well be the best choice if you have access to a clean example that works perfectly. The problem for the average consumer is knowing what brands are best and what to look for so you get a reliable unit. The “golden age” for vintage audio was probably the 1980s and some great, affordable audiophile brands are Adcom, B&K, Harman/Kardon, NAD and Rotel.